Twenty years ago you really needed a car to visit the attractions in Los Angeles. Since then, the system of subway trains, rail cars and buses has grown considerably. 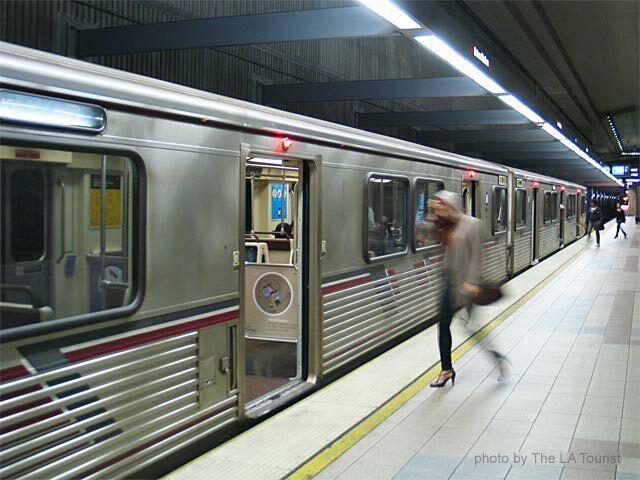 That’s good news for visitors because now you can take the Red Line train to popular tourist destinations like Hollywood, Universal Studios and downtown L.A.
For more information, visit Metro.net and use the Trip Planner on the right side.